Why I, Scott Simmons, dislike the practice of re-listing any property on the Multiple Listing Service (MLS®). If a property does not sell in a significant time frame, the listing agent can, with permission of the owner, re-list the property on the MLS®. The property can be withdrawn (canceled) from the MLS® and then, at a later time (or even on the same day! ), be listed back on the market as a “new listing”. The history of the old listing is available to realtors, but not the public. Would you buy a car if you knew the mileage was rolled back? Could a car lot change the date on a model from 2006 to 2008? Of course not, the car dealer would be charged with fraud. However, it is common practice in the real estate business to misrepresent a property’s original “for sale” date by re-listing it. 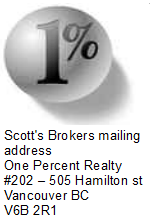 For example, in the fall of 2008, one Salt Spring agent re-listed 20+ properties. The agent told me the properties had “too many days on the market” and needed to be freshened up! In this era of full disclosure, how can re-listing happen on a regular basis? In the list displayed above, compare the second home with the last home. The same house on Le Page goes from 186 days on the market to 1 day on the market!!! It is the same house, but what a difference in the statistical results. Not only are the statistics manipulated, but what about the buyer who buys thinking it is a new listing? Most buyers don’t know to ask if the house was previously listed for sale and canceled or withdrawn or expired. If the buyer asks the listing agent, “Is this a new listing?” s/he could say, “Sure is!” and s/he would be telling the truth, just not the whole truth. (c) brings the real estate industry into disrepute. Re-listing is deceptive in nature. It should not be allowed. In other areas, the practice of re-listing has been banned on the MLS® systems. Agents are required to wait for 30 days before re-listing the same property. Many jurisdictions in the USA have adopted Aggregate days on the Market. With this system, once a home is listed the days start to count until the name on the title changes. I do not like re-listing and will be happy the day this practice stops. Not only does it provide an opportunity for realtors to lie, but it just seems wrong. The Victoria Real Estate Board should adopt Aggregate days on the Market so buyers know the total days on the market and have access to accurate statistics. It is one of the first things I check when I look at a property and it is one of many reasons you need to hire me to represent you when you buy your new home. Wake UP BC real estate industry and stop fabricating stats! If you have any questions about this or other real estate matters just drop me an email. Note: These are just my personal thoughts as an independent contractor, not those of One Percent Realty Vancouver Island. My intent is to stop this practice, not to “bring the real estate industry into disrepute.” Debate and point of views are healthy and are a catalyst to change. 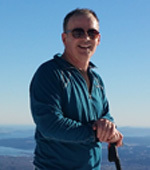 Scott Simmons is a licensed BC REALTOR® and can help you with any real estate in the province of British Columbia, Canada. Yes, I write, edit, and build my own websites. Please let me know if you see any spelling or grammatical errors or dead links. The information on this website is for general information purposes only. Nothing on this site should be taken as legal and or Realtor advice for any individual case or situation. This information is not intended to create, and receipt or viewing does not constitute a Realtor/client relationship.